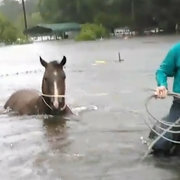 Volunteers are rushing to the scene to feed the stranded animals. At first glance, remote towns near an outbreak of dangerous wildfires in Canada might seem entirely evacuated. 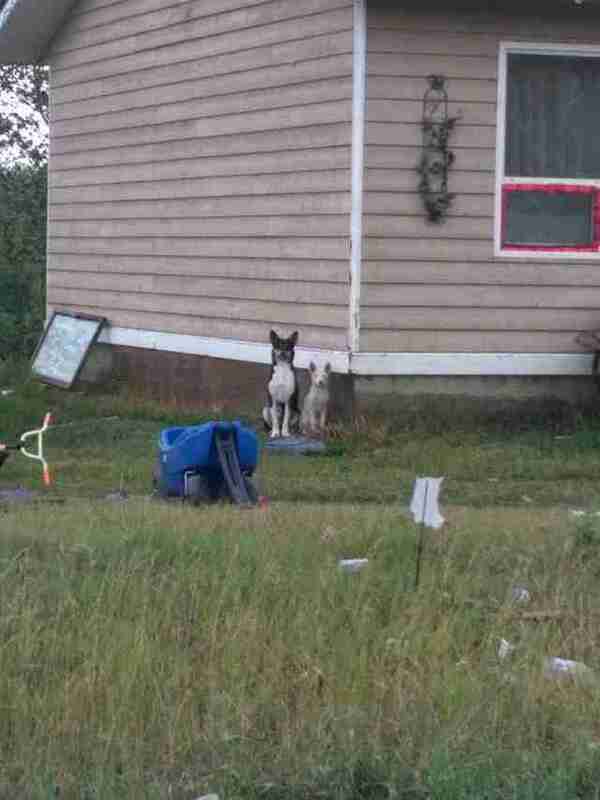 But a closer look reveals a population still living there — about 1,500 dogs and cats. Because these towns, which are populated by indigenous peoples, in the Manitoba province are so hard to get to, the residents weren't allowed to bring their pets on the flights to safety last week. 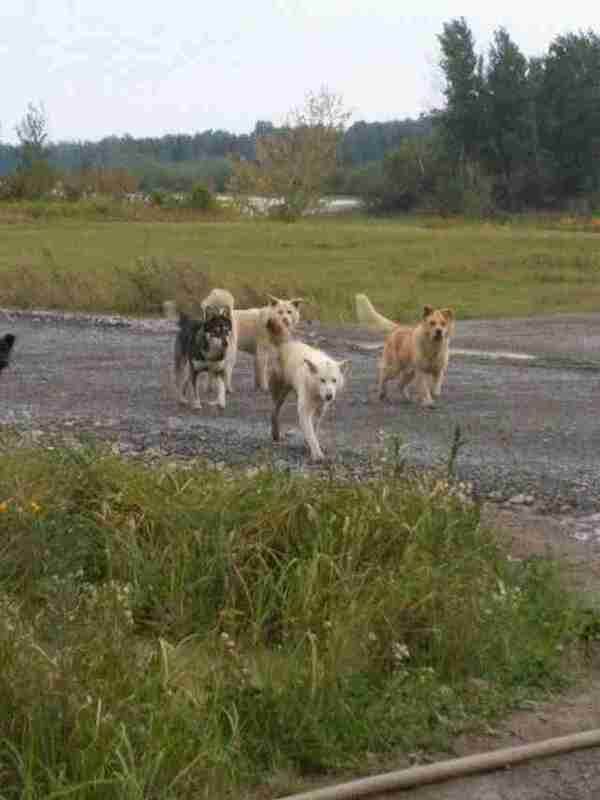 "These communities can only be accessed by air and one by boat," Meghan Irwin, one of the directors for Feed the Furbabies Canada, told The Dodo. "During the evacuation the planes were too small and people had to take priority." It might seem like an impossible situation. 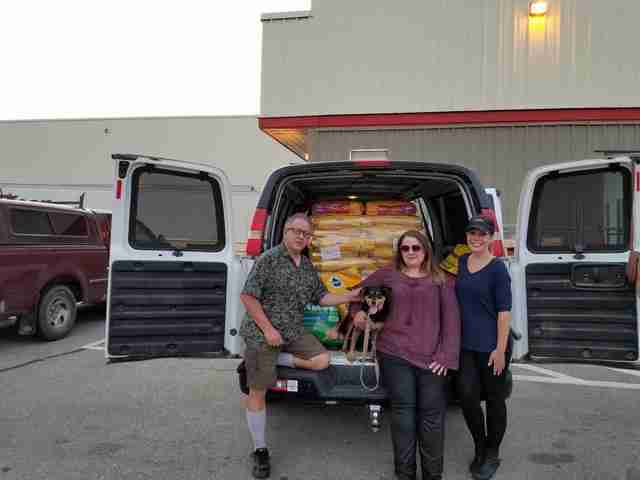 But Irwin's organization coordinated a massive effort to help the pets stranded by the wildfires — and it's working. 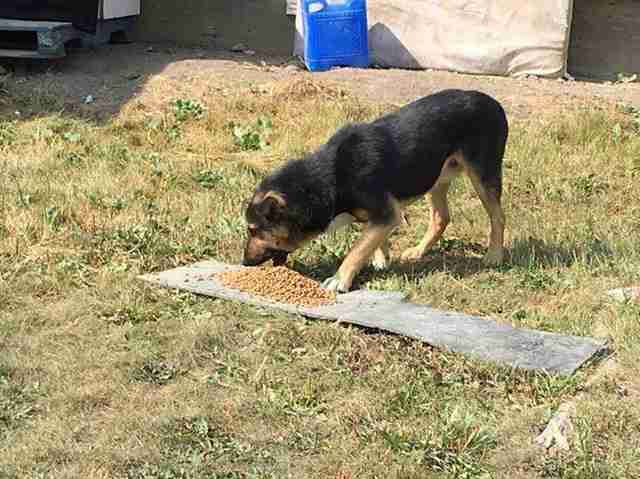 Feed the Furbabies has already gathered 4,000 pounds of pet food donations and are working with local rescues, like Norway House Animal Rescue, to get the food to the animals in St. Theresa Point, Garden Hill, Wasagamack and Poplar River. 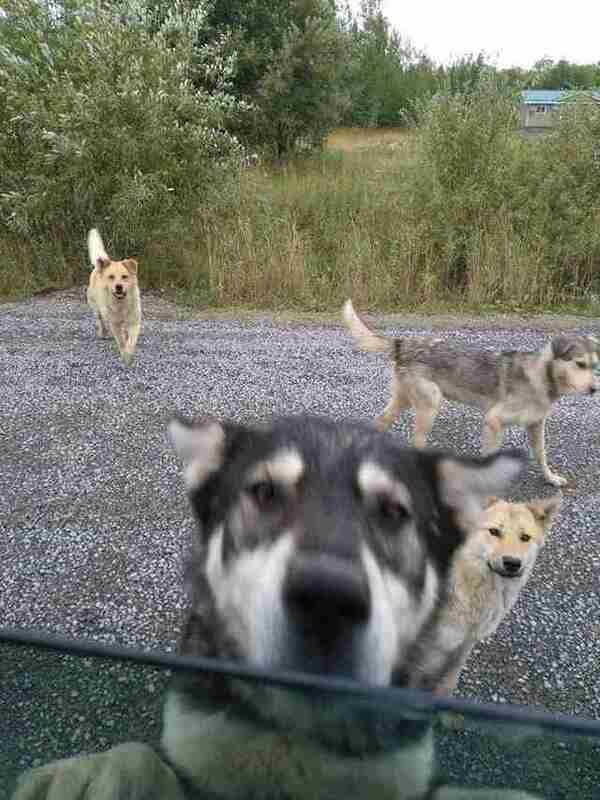 A flight arrives at least once per day to feed the pets left behind. 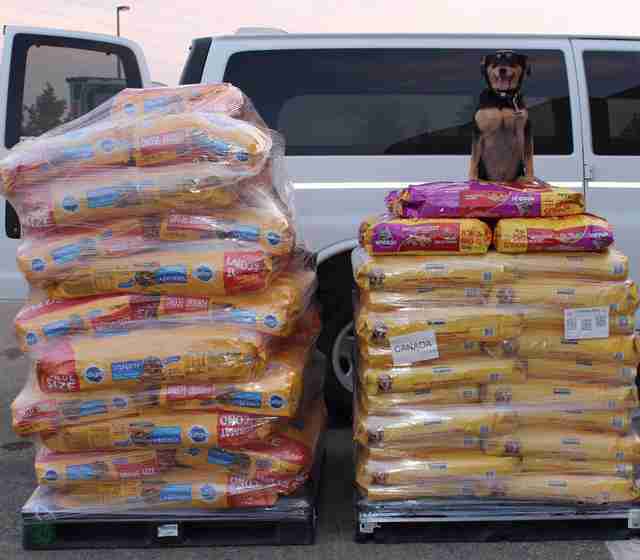 Not only do these food deliveries bring relief to the pets — they also help ease the pain of families who had to evacuate without their beloved pets. "There are many threats to the animals left behind; predators, the fires and smoke, and starvation if they don't get enough food," Irwin explained. But as firefighters work on getting the wildfires contained, communities hope that they soon can return to their homes and their furry loved ones. 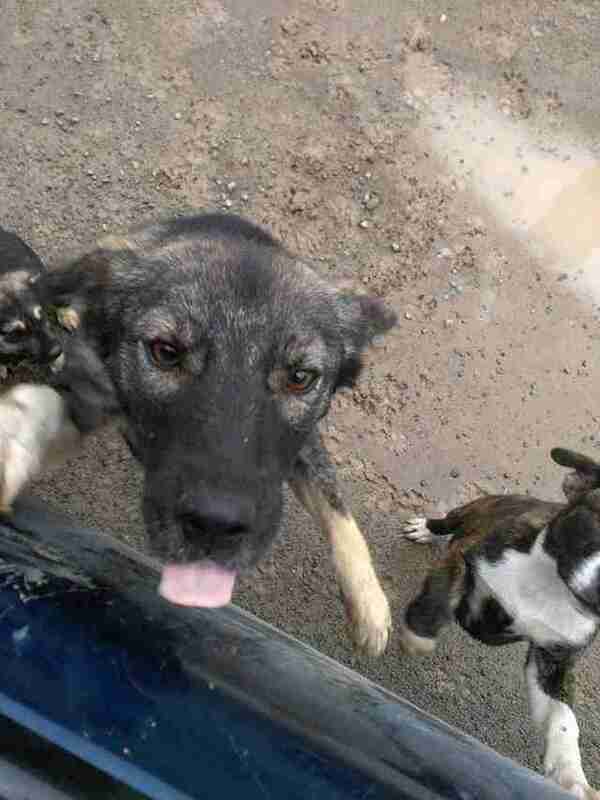 The crisis is making some people call for a more formal plan in the region for rescuing pets from remote areas in the future, when disaster strikes. 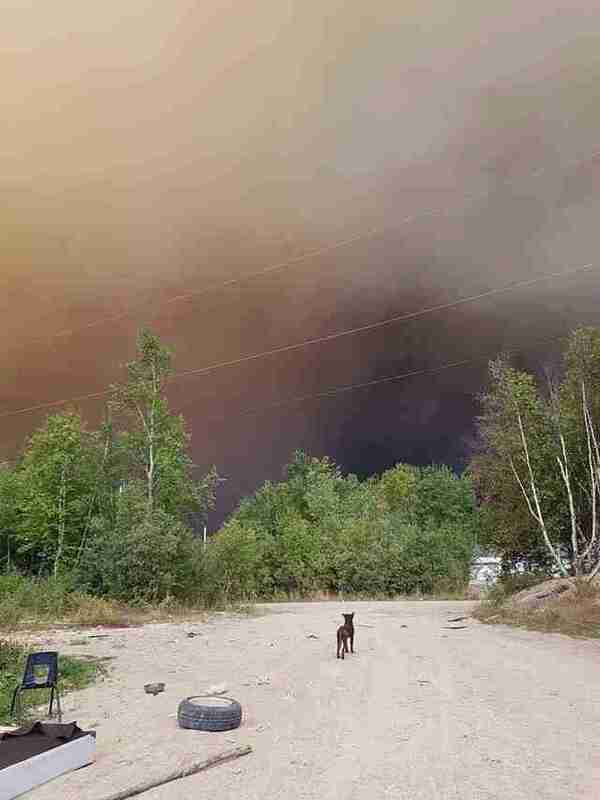 "To the best of my knowledge, Manitoba does not have any infrastructure or protocols in place for the care of companion animals in northern communities during evacuations," Irwin said. 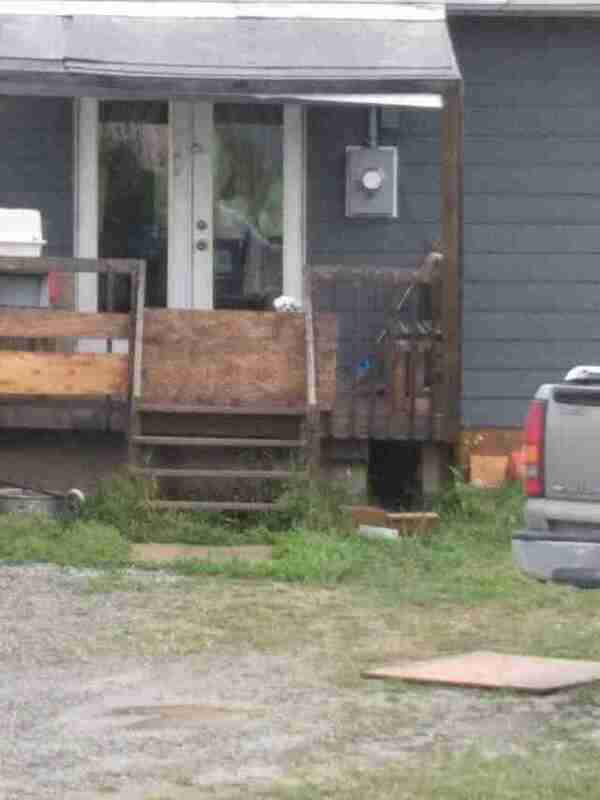 "No one has been allowed to remove any of the pets or strays from the evacuation zones." Even if the animals aren't allowed to leave the danger zones, the food is coming to them, thanks to the volunteers willing to coordinate the massive shipments of food and the people willing to donate. "We need about 10,000 pounds of food to be able to support these communities; possibly more if they aren't able to return home next week," Irwin said, adding that they are currently most in need of puppy food and formula. "It's been a tough week, but we CAN make a difference," one person spreading the word about the pets in need via Instagram wrote. "Even the smallest donation helps!" 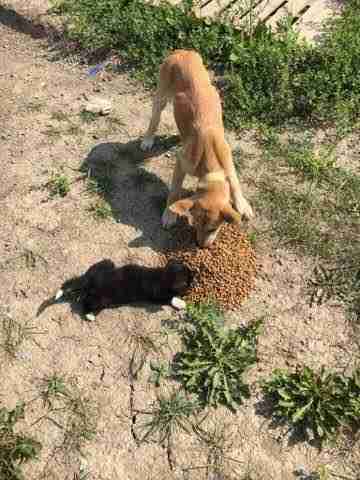 You can help feed these pets by donating via e-transfer or PayPal to feedthefurbabiescanada@gmail.com (password "Wildfire"). You can also mail checks to Feed the Furbabies Canada, 937 Government Ave., Winnipeg, Manitoba, R2K 1X9. 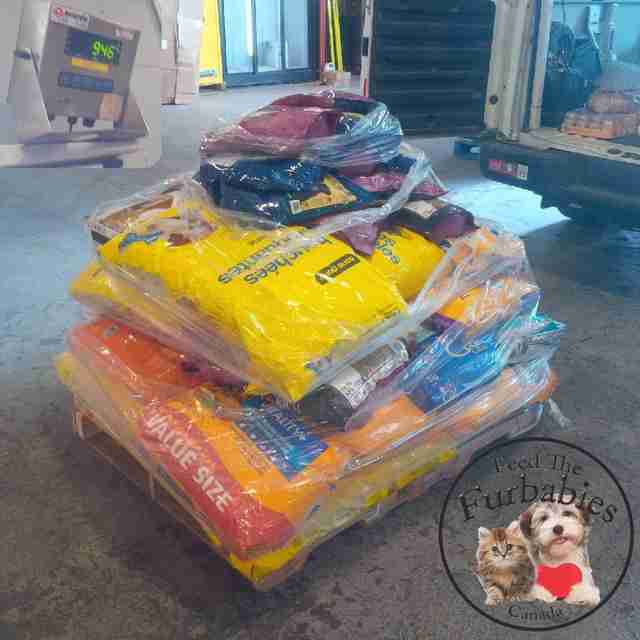 If you are local, you can drop off cat, dog and puppy food and formula at 937 Government Ave (East Kildonan) and 799 Autumnwood Drive (St. Boniface). If you can serve as a drop-off location for food donations, contact Feed the Furbabies Canada through its Facebook page.